Elisa Reyes and Alexander Saenz are thrilled to participate in Read With Me/ Lea Conmigo and see the benefit of reading books together with their children. Their youngest son, Achilles, participates in the program at Leo Politi Elementary School in LAUSD Local District 4. On a weekly basis, he brings home a backpack filled with books containing award-winning, multicultural children’s literature. 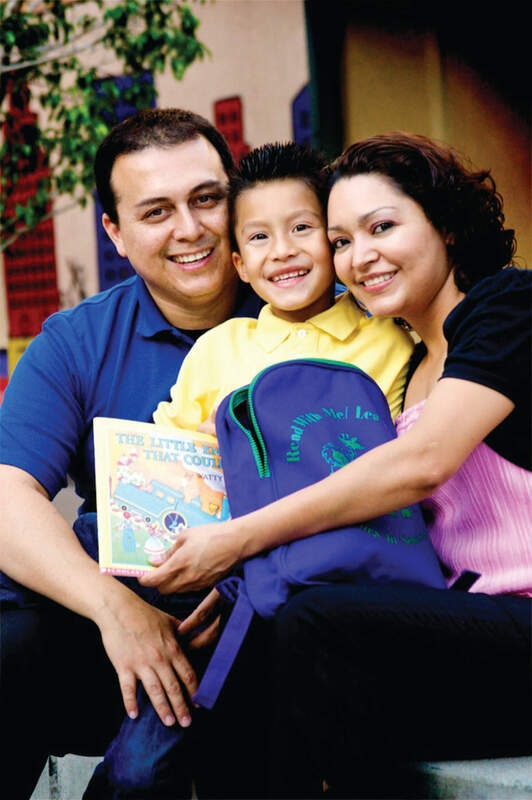 “I really want to stress how important the Read With Me program is to our family,” said Elisa Reyes. “The benefit of having books to read at home has made a big impact in my children’s learning capability. Having these wonderful books in our home motivates him to read so he can learn more about the characters and the stories in the books he brings home.” Elisa and Alexander feel empowered by participating in the program. “The key to a bright and successful future for our children is through the education they get at school, but they also need resources at home to support them. Families In Schools helps my children shine with confidence because they love to read." Invited four years ago by the Lennox School District, and with support from the California Community Foundation, FIS has developed a partnership with school and district staff, which has shaped a comprehensive parent engagement strategy for each school and the district as a whole. The relationship with FIS has also guided school board members in developing policies that embrace parents as genuine partners in support of student achievement. 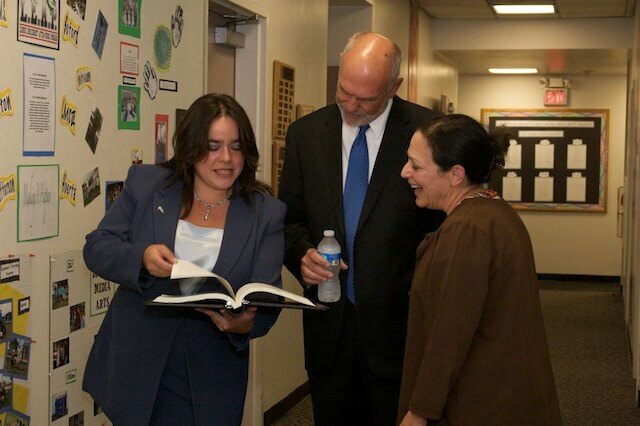 Dr. Jo Ann Isken, Assistant Superintendent of Instructional Services of Lennox School District (shown with Lennox School Board President Marisol Cruz and Superintendent Bruce McDaniel) credits the FIS partnership for improving standardized test scores and increasing English Learner reclassification rates, priorities of state and federal education reform efforts. Teachers remark how the partnership is also yielding a deeper level of parent involvement at school and at home. As evidence, attendance at parent-teacher conferences is at nearly 90 percent, and teachers note that parents are asking more informed questions about their children’s progress. Lennox parents praise their partnership with FIS and emphasize that the various learning opportunities have empowered them with confidence, knowledge and skills to better support their children’s learning. As an immigrant from a small town in southern Mexico, Maria Orellana was certain of one thing – that education was critical for her children’s success in the United States. 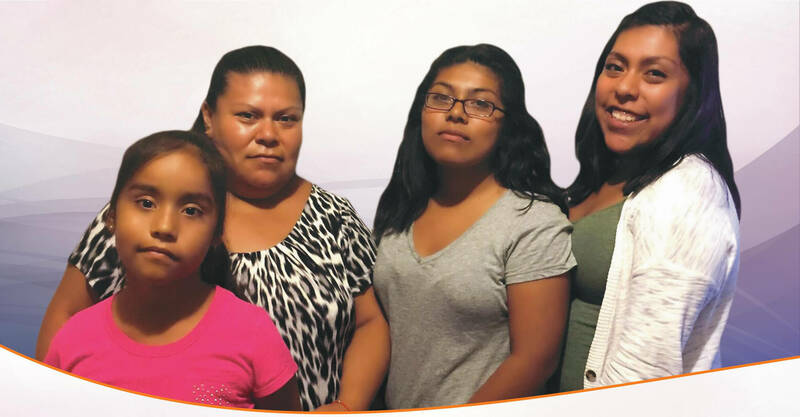 With little formal education herself, Maria was not sure how to help her two daughters get into the best colleges to secure their futures. Several years ago, she learned about the FIS Mother/ Daughter program, later renamed GOT College! Her youngest daughter, Daisy, was in sixth grade at Sun Valley Middle School and her eldest, Giovanna, was attending another school. The program brings together parents and their children, and Maria made sure her daughters attended every meeting at Sun Valley Middle School. With each meeting, Maria gained a little more know-how and a lot more confidence. 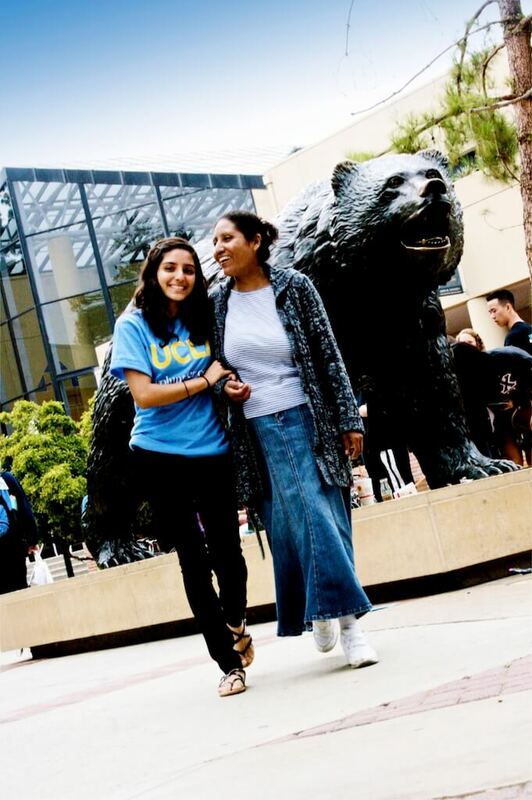 Today, Daisy is looking forward to college upon completing her senior year at Francis Polytechnic High School in Sun Valley; Giovanna is in her freshman year at UCLA. Her eyes beaming with pride and gratitude, Maria reflects on the GOT College! experience: "[It] gave me, in my mind, my dream come true." Magdalena Vidal and her three daughters in grades 3, 9 and 11 know first-hand just how key parent engagement is to student achievement. Over the course of 5 years, Ms. Vidal has participated in numerous FIS programs – like College Knowledge Academy and Pasos al Éxito – that support parent involvement in their children’s education, and ensure student academic success. As a result, Ms. Vidal is now equipped with the tools needed to support her daughters’ education and help them be ready for college. 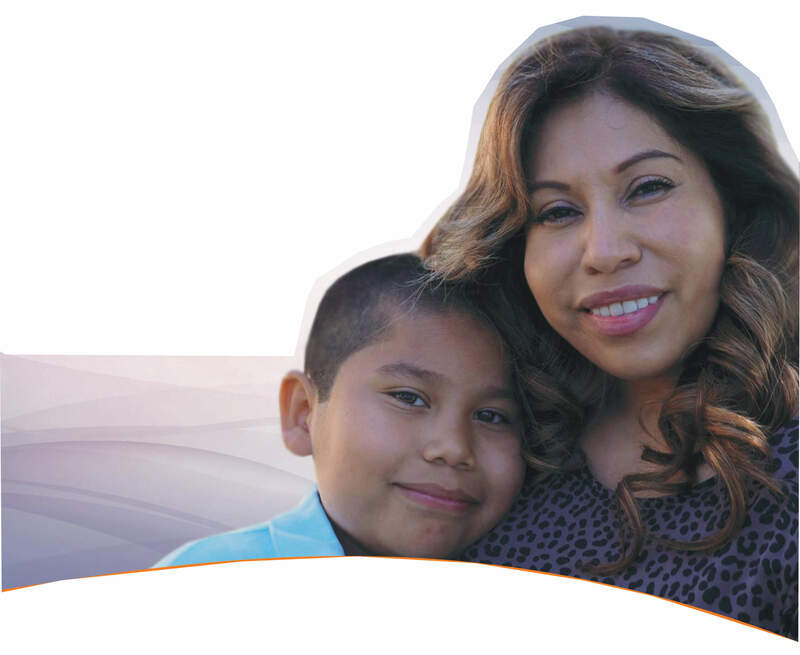 Monica Martínez is the mother of a fourth grader at Winnetka Elementary and an FIS Parent Ambassador. Through FIS, Ms. Martínez learned to improve her communication with her son’s school, his teachers and the community. 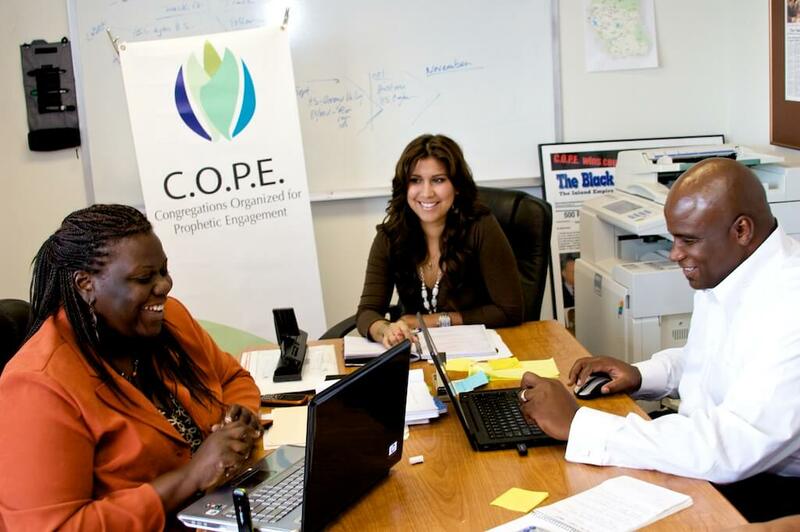 Today she is an advocate who works with a parent support group to help students reach their academic goals and graduation. She advocates not just for her son, but also for other students and parents on the school campus.